Premium Quality Custom Size Prefinished Soft Maple Extra Thick Stair Tread. Quote and order any size online! Fill in the dimensions below and options below. The stair treads on this page are available in thicknesses of 1-1/4", 1-1/2" and 1-3/4", up to 29" wide and 120" long. 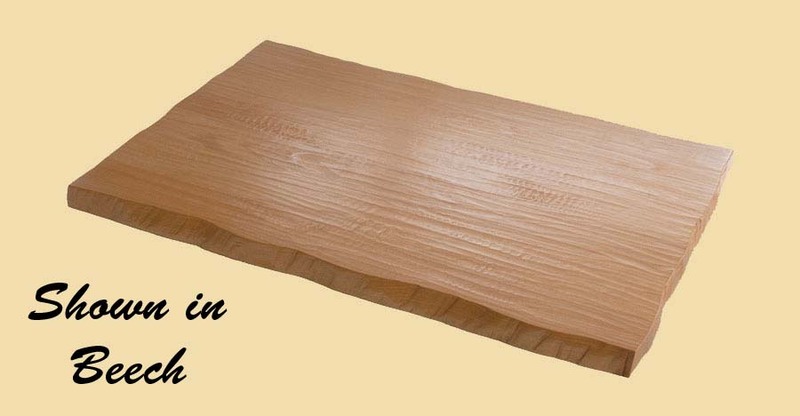 Soft Maple is very similar to Hard Maple. 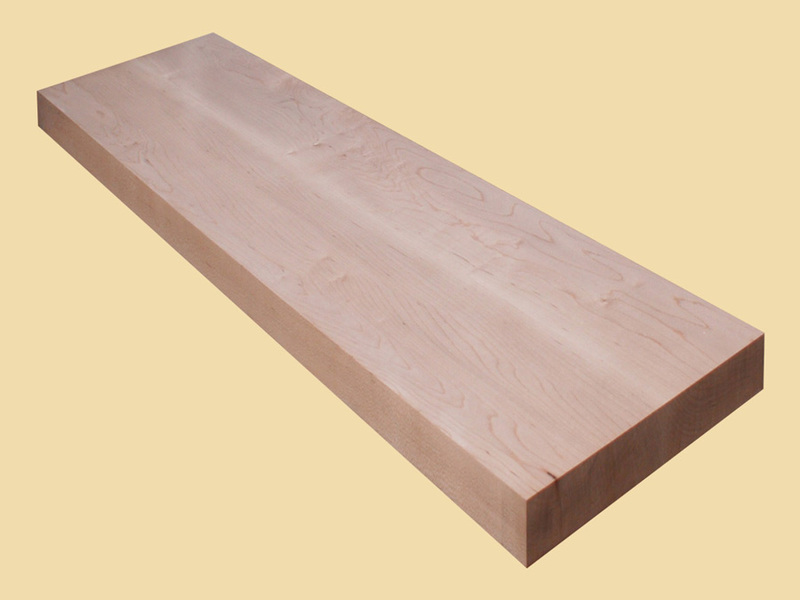 The sapwood is grayish white and may have darker colored flecks. Soft Maple heartwood varies from light to dark reddish brown. Soft Maple wood stair treads may contain some brown, but it will be minimal. All of our stair treads are made from top quality hardwoods. Our wood stair treads are not engineered and do not have a veneer. Only FAS and Select grade lumber are used. Your prefinished Soft Maple wood stair tread will be manufactured slowly and carefully. The result is a premium quality hardwood stair tread, adding beauty to any home. For prefinished wood stair treads, a special catalyzer is added to a commercial grade, 45 sheen conversion varnish. Three coats are applied to each tread. This finish is hard and durable! For prestained wood stair treads, a stain is applied, then three coats of varnish. If you choose to have your wood stair tread prestained, we will email you after the order is placed to find out which color you have chosen. You can select from any Woodwright color and choices are shown here. A return is a separate piece attached to the side of the tread. If an eased top edge is ordered for the nose of the tread, the top edge of the return will also be eased. Returns should be ordered from the perspective of walking up the stairs. Note: The ordered dimensions always reflect the overall dimensions. A return does not affect the overall length of the tread. Our returns are 1-1/4" wide. If you are measuring throat size, add 1-1/4" for each side that has a return to determine the length you should order. 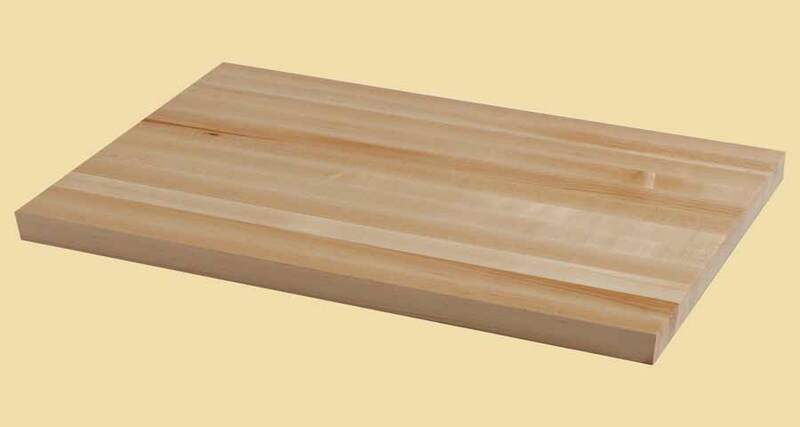 We offer two choices for the nose of extra thick stair treads: Square Edged and Eased Top Edge. Please select your nose choice below. If you choose the eased top edge, it will be applied to the top front edge of the tread and the top edge of the return, if applicable. If you require other edges to be eased, please put a note in the comment section of your order. The option to ease top edges other than the front is only available for Grade 2S treads. These stair treads ship slightly over length. The only exceptions are double return treads and Grade 2S treads, both of which ship at exact length. 1 S: This is the most common and less expensive choice. The face and nose will be fully sanded, along with any returns. The underside and back edge will be planed smooth but not fully sanded. They may contain knots and other aspects that are not visually appealing. This choice is appropriate where the underside and back edge will not be visible. If this option is chosen, the face, nose and returns will be prefinished. 2 S: This is for stair treads where the top, bottom, front and back will be visible. They will all be fully sanded and visually appealing. There is an upcharge, so only choose this option when necessary. If this option is chosen, all surfaces will be prefinished. The Soft Maple stair treads on this page are sold prefinished. For unfinished, please visit unfinished extra thick stair treads. Dimensions: 1-1/4" x 10-1/2" x 36"